When I heard about Grant Howitt and Chris Taylor’s game about vigilante drow fighting against their high elf—or aelfir—oppressors, I knew I needed in on that. After having played several playtesting sessions, I knew I was right. What’s more, the system practically called for a companion app to manage some of the GM work, and who was I to refuse such a call? 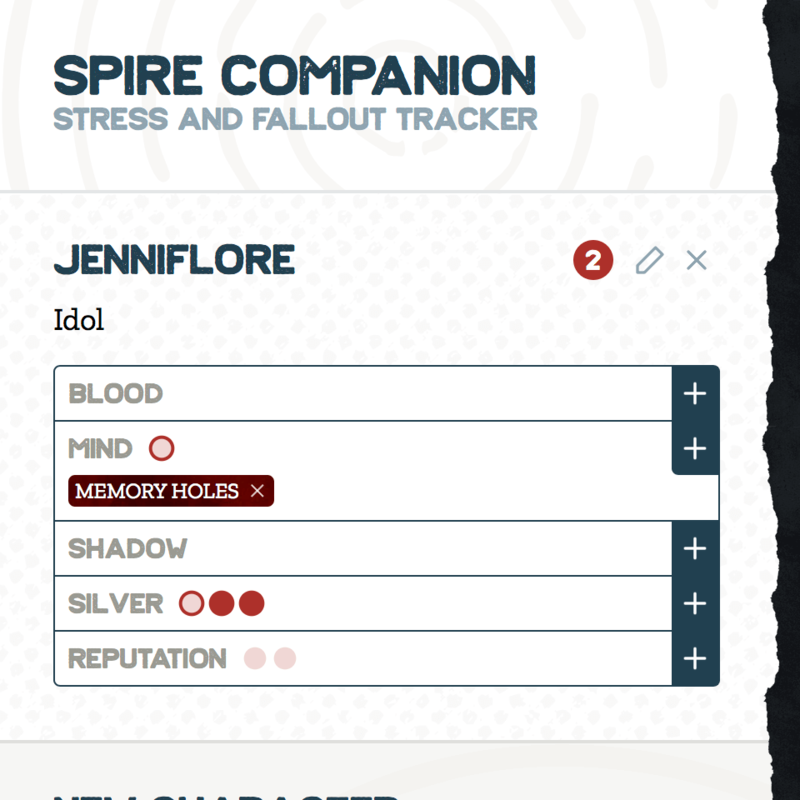 So, with the blessing of the authors, I created Spire Companion, a beautiful and highly functional stress and fallout tracker for Spire characters. Cross-platform, and with impactful animations to hightlight key actions, this is a one-stop, must-have app for all Spire GMs, if I say so myself. Which I do. Spire RPG is out now. The companion app even has a subtle random name generator built in, with names appropriate to the setting.